Brux-eze® splints are constructed of heat-cured elasticized acrylic for superior strength. Brux-eze splints are resistant to breakage and permanent distortion. 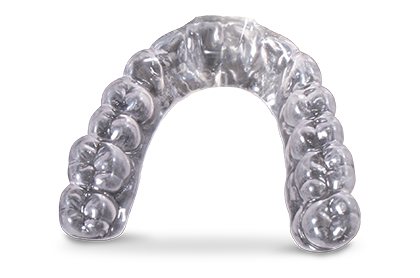 In form at room temperature, Brux-eze® is similar to hard clear acrylic, but warm water will soften the splint to help with seating. The Brux-eze splint is also slightly softer than acrylic when it’s in the wearer’s mouth, providing optimum comfort, which encourages regular use.